Guy Weinstein is an Omaha native. His practice focuses on both family and business based immigration, criminal defense, and family law. He represents his clients in removal proceedings, in state and federal court, and with immigrant and non-immigrant matters before USCIS. 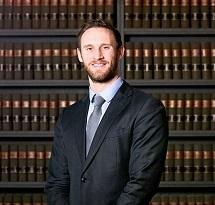 He received his Juris Doctor from Creighton University School of Law in 2014 and his Bachelor's Degree from University of Nebraska-Lincoln in 2011. While in college, he studied international business at the Monterrey Institute of Technology in Monterrey Mexico where he became fluent in Spanish. Prior to working at Roth & Weinstein, LLC, Guy was the managing attorney at Omaha's largest immigration and criminal defense law firm. Guy strives to reach the best possible resolution for his clients while keeping in mind their current and future immigration status.